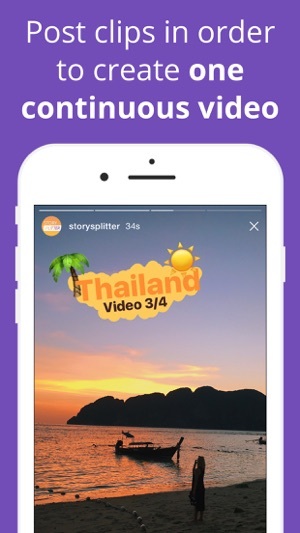 Post longer videos to your Instagram Story! Instagram only lets you post a 15 second video to your Story. 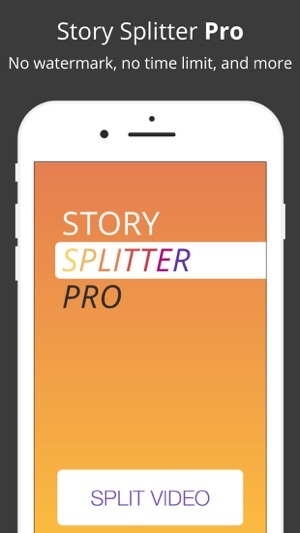 Story Splitter allows you to post a longer video by splitting it into 15 second clips. 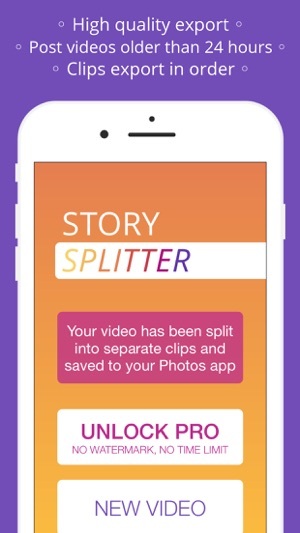 Then you can post the clips to your Story in order to create one continuous video! 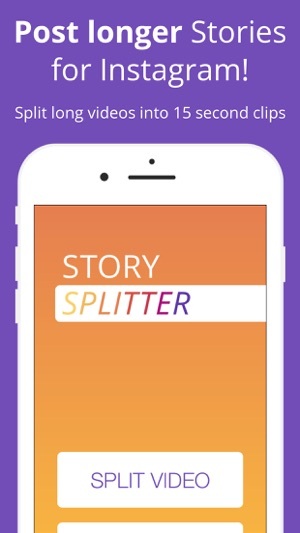 People are using Story Splitter for videos like live concert videos, slow-mo videos, longer selfie videos, how-to videos, pre-edited videos from other apps and anything else in your camera roll over 15 seconds! 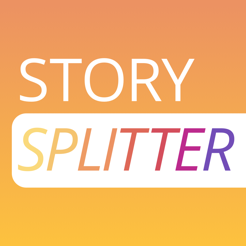 Brands and artists can use Story Splitter to post all kinds of new content on their Instagram Story. Post product demo videos, explainer videos, interviews, music videos, film and acting reels, behind the scenes videos, and more! – Support for videos with custom dimensions (frame size) such as square videos, cropped videos, etc. – More Pro features coming soon! This App does exactly what is says it does! I am a digital artist and have been looking for a way to easily split my time-lapse drawing videos into smaller segments for Instagram Stories. This App works for exactly that and for only $.99! Feature Request: Add a way to select either 15 second segments or 1 minute segments since the max allowed in a normal post is 1 minute! Would be super handy! This app rules! Been waiting for something like this to come out!